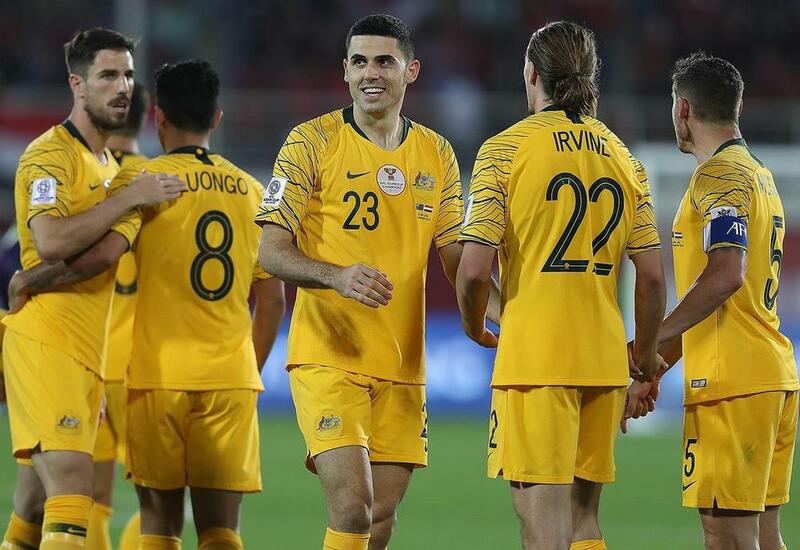 AFC Asian Cup matches involving the Socceroos form part of the vast amount of pirated content broadcast by Saudi Arabia-based beoutQ and exposed on a new website created by beIN MEDIA GROUP. A ‘reveal all’ website has been published by beIN MEDIA GROUP which exposes the industrial scale theft of world sports and entertainment carried out by beoutQ – the Saudi Arabia-based pirate TV channel – and Arabsat – the Riyadh-headquartered satellite provider – for the past 18 months. The website places out in the open the mountain of evidence against beoutQ, and will be regularly updated as legal actions against Saudi Arabia continue to mount, so that the pirate operation is held to account. The website includes materials on where beoutQ is based, who is behind it, and sets out in detail all the commercial rights that have been stolen from organisations across the world of sport and entertainment since beoutQ first appeared, including Socceroos' AFC Asian Cup matches. In August 2017, beoutQ was launched in Saudi Arabia and since its inception it has illegally broadcast premium sports and entertainment content worth billions of dollars. While the pirate operation started off as a website that was geo-blocked to Saudi Arabia, it has developed into the most sophisticated piracy operation that the world has ever seen:- inserting its own logos and branding; selling subscriptions; carrying separate advertising; and even adding its own commentary. Through 10 encrypted channels, beoutQ illegally broadcasts live sports every day, stealing content from every major sports rights holder in the world including FIFA, UEFA, the Premier League, LaLiga and other football leagues; to the NFL, the NBA, world tennis, Formula 1 and the Olympics. Every game of the 2019 AFC Asian Cup, which is currently being hosted by the Asian Football Confederation (AFC) and features 24 national teams across Asia, has been broadcast illegally on beoutQ. In addition, beoutQ gives access to vast amounts of entertainment content through embedded IPTV applications, through which its set-top boxes stream pirated live television and on-demand movie content from all over the world providing illegal access to over 10,000 major international movies and up to 35,000 TV show episodes in different languages. Of most concern, beoutQ is now being pirated around the world with reported accessibility of beoutQ in places as far afield as London, Geneva and Florida USA. Pressure intensified on Saudi Arabia in August when three of the world’s leading digital security, media solutions and technology companies - Cisco Systems, NAGRA and Overon - independently and definitively confirmed that beoutQ is being distributed on the Riyadh-based satellite provider Arabsat. Since then, a significant number of legal cases have been directly brought against Saudi Arabia for backing beoutQ. In December, the World Trade Organisation in Geneva approved a request for the establishment of a WTO panel to adjudicate on the beoutQ case brought against the Kingdom for violating intellectual property rights. In October, beIN commenced an international investment arbitration claiming over $1 billion in damages against the Kingdom on the basis of beoutQ. Recently, FIFA, the AFC and other sports rights holders have disclosed that they will be launching legal action in Saudi Arabia very shortly. Last year, for the first time in more than 10 years, the US Government placed Saudi Arabia on its 2018 Special 301 Watch List noting concerns over the deteriorating environment for the protection of intellectual property.